District #38 is another one of those school districts that did not last very long and served very few students. We have no record of when it was formed, but the early officers were all from the Allen and Gray families, with Cyrus G. Allen as Director. We don't know where the schoolhouse was located but are surmising that it was near Rev. Cyrus Allen's home. 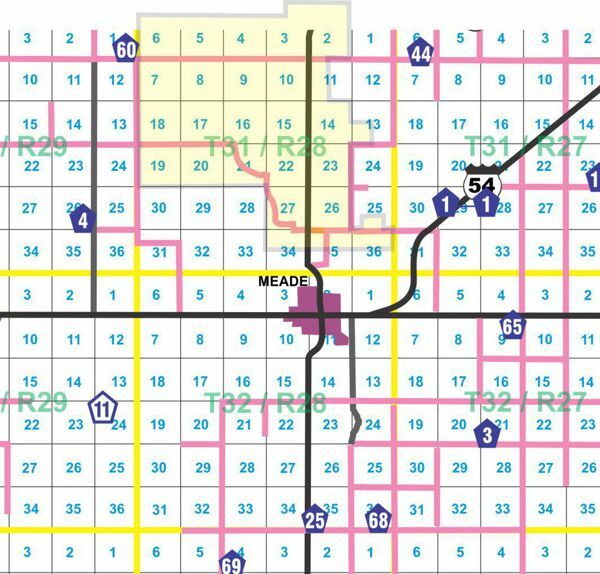 As you can see from the maps this district was very close to Meade... the light yellow area shows the odd shaped district on both maps. The pink area on the old map shows where the Allen family homesteads were located. 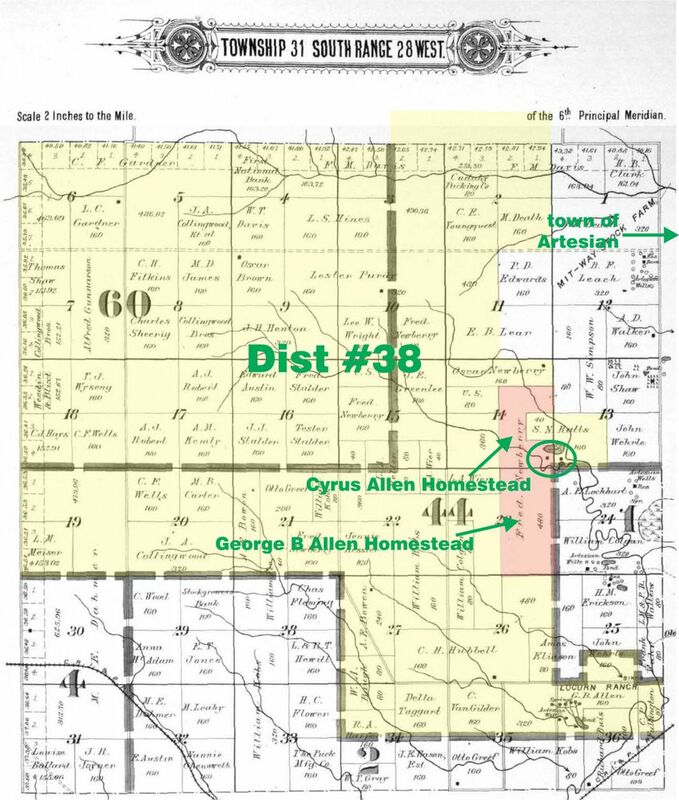 Obviously, by 1909, the date of the old map at top, District #38 had been divided up between Districts 44 and 60. We only have records from 1888 to 1903. We have a clipping from the "Meade County News" on April 21, 1904, that states "John Stalder moved the school house in District 38 to George Allen's place, where the same will be converted into a barn, instead of the one Mr. Allen recently lost in the fire." We have the limited list of teachers at left, but no record of students. Artesian was a Ghost Town located about two miles north east of the C.G. Allen Homestead.